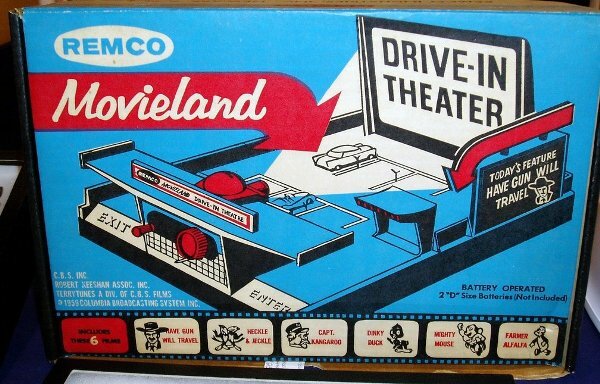 New Jersey based REMCO Industries (named for REMote COntrol), was one of the first toy companies to incorporate remote controls into their toys. 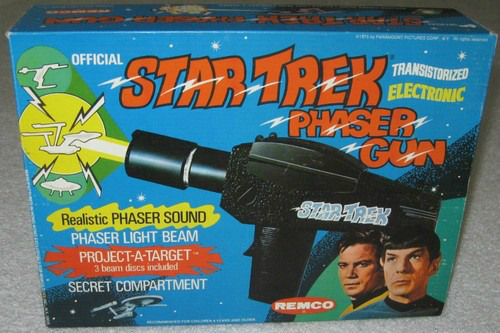 Though they probably couldn’t compete with the bigger toy companies of the time, like Mego, Kenner and Hasbro, they still managed to get some licenses for well-known characters and television shows of the time like Star Trek, Lost In Space, Universal Monsters and even some from Marvel and DC Comics. 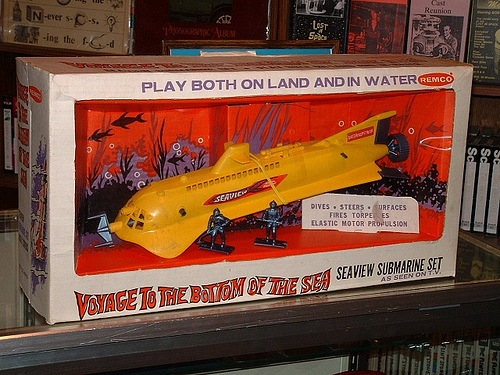 The toys themselves often featured less-than-exciting artwork on their packaging but the playability of the toys was 2nd to none. 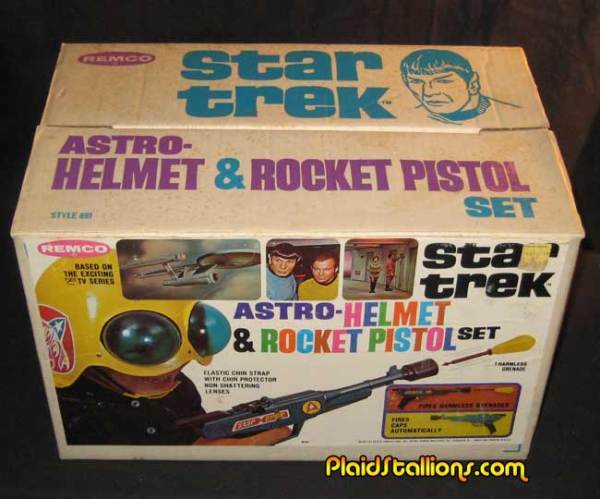 Some of the toys themselves made little to no sense as well, especially when it came to licensed items. 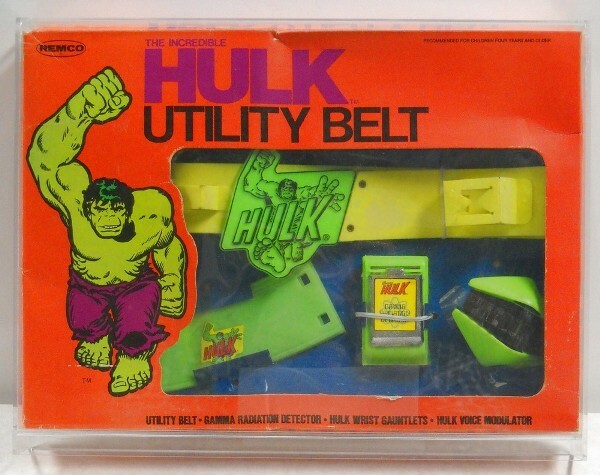 Things like a Hulk utility belt or Star Trek Astro-Helmet were just excuses to slap the name on a product but it worked and they all sold well. REMCO was founded in 1949 in Newark, NJ, by cousins Ike Heller and Saul Robbins where they were primarily focusing on walkie-talkie type items. 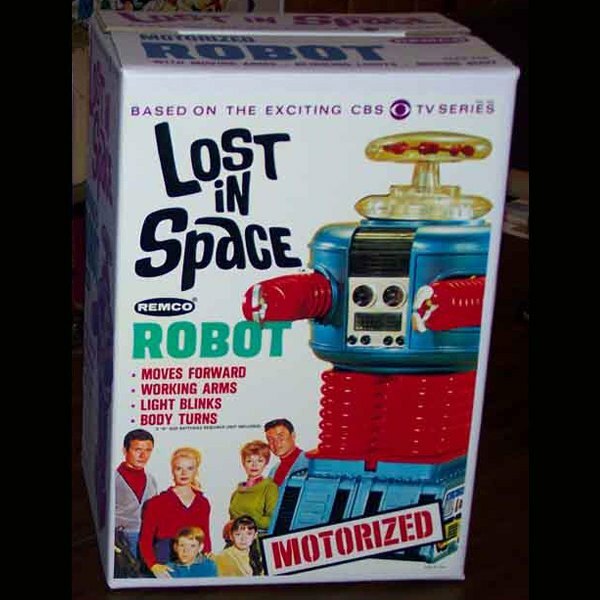 They were also the first toy company to advertise their offerings on television. REMCO filed for bankruptcy in 1971 and was eventually sold to Azrak-Hamway International in 1974. The rights to AHI’s Child Guidance and REMCO brands were acquired by Jakks Pacific, a California-based company, in 1997. There was a period of time in my life when toys were not a priority, and this was basically around the time I entered junior high. I was too old to be playing with toys and too young to be collecting them. 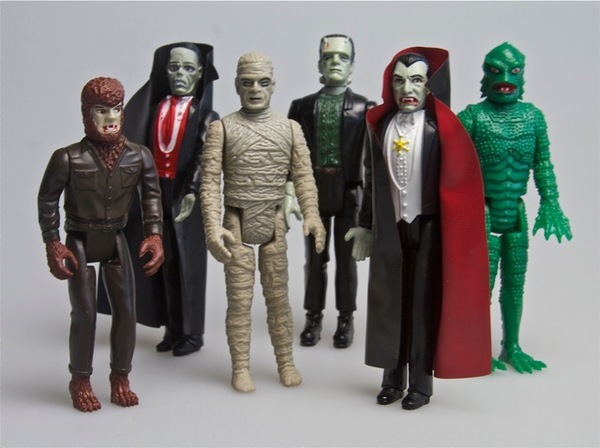 It was at this time that REMCO came out with their Mini-Monsters line, featuring six of the classic Universal Monsters (Dracula, Frankenstein, Wolfman, Mummy, Phantom of the Opera and Creature From The Black Lagoon) in 1979. These were 3-3/4 inch figures that featured nice detail and could be bought in regular and glow in the dark versions. The packaging artwork was very nice and two playsets were also offered. 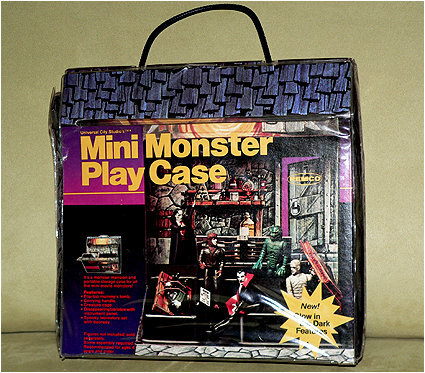 The first was the Mini Monster Play Case that not only was perfect for storing your figures in but also opened into a monster mansion play area that featured a flip-top mummy tomb, a creature cage, a disappearing lab table with instrument panel and a spooky laboratory set with doorway. 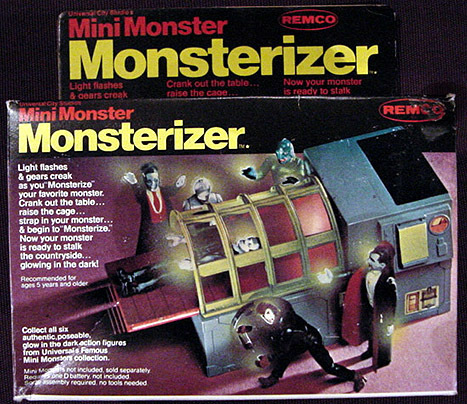 Second was the Mini Monster Monsterizer. 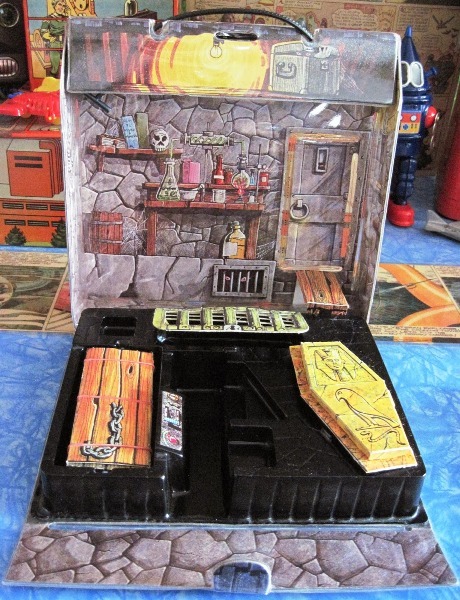 This featured flashing lights and creaking sounds. This was designed specifically for the glow-in-the-dark monsters as the lights were just enough to make the monster glow. From here REMCO went to a 9 inch version of these monsters. 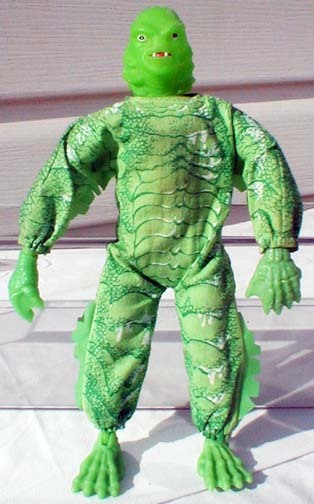 They were fully poseable and featured “Monster Crush” grabbing action and usually came with an iron on patch and a glow in the dark ring. The heads and hands also glowed. A larger Monsterizer was also offered for these larger figures. 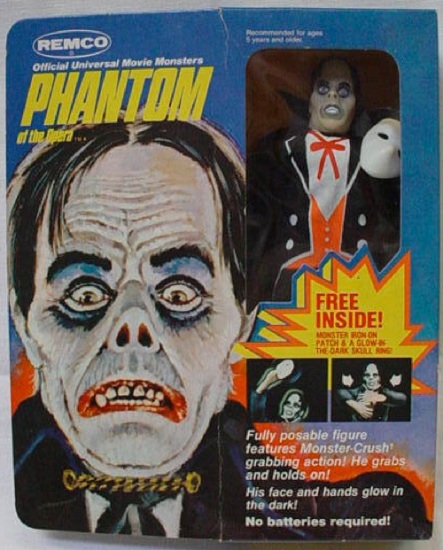 From there REMCO also created a line of monster hand puppets, called Monsters At Home. These also glowed-in-the-dark and all featured a display box that the puppets could be stored in. 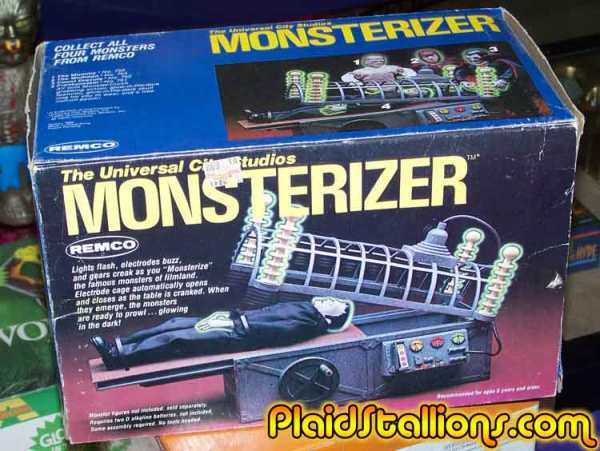 Fast forward to the present and there is still interest in the REMCO monsters. The original toys go for big money on eBay and in recent years, 3-3/4 inch figures very similar to the REMCO figures of the 80’s have been released as well. An artist by the name of Kris Mobley has taken his love of the original toys and decided to do a line of art prints, inspired by the original figures. His goal is to produce these in a limited run on high quality paper and all will be signed. Kris was nice enough to sit down with me and answer some questions on this project. Were you a fan of these toys? When I was a kid (around the fifth grade) I often went with my mom to Value City. I would make my way to the toy section there like a homing pigeon, and I can still remember the REMCO monsters in the first aisle of that department, on the bottom right shelf under a peg board display of Micronauts figures and other toys. Action figures were trending smaller by then, and the pocket-size figures were about half the price of the 9 inch REMCO line. 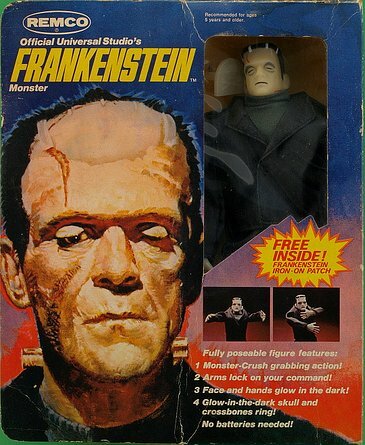 As a consequence, I can remember sitting on my knees and pouring over each of the monsters (there were only four—Dracula, Frankenstein, Wolf Man, and the Mummy—I didn’t learn about the Creature and Phantom figures until much later) and composing my plea to my mom to buy me one. Unfortunately, she never said yes. They were just too expensive for a single mother in the early 1980s to spontaneously buy—and evidently other toys wooed away my attention by the time birthdays and Christmas rolled around (Empire Strikes Back, Clash of the Titans, Raiders of the Lost Ark, G.I. Joe, and Masters of the Universe toys would all hit the shelves, in their turn, within a relatively short while). 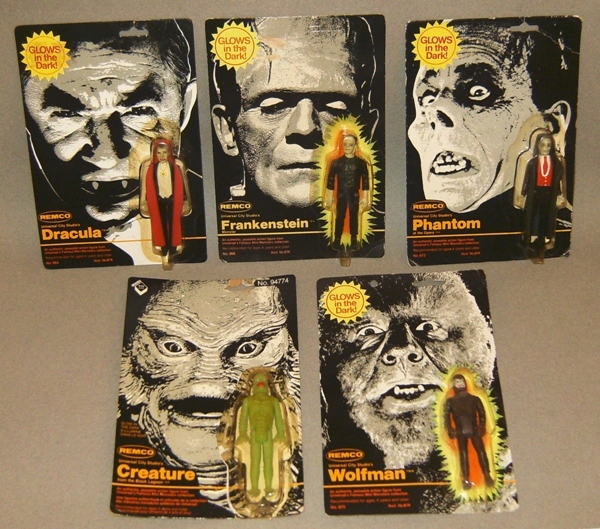 Nevertheless, I was captivated by the REMCO’s Universal Monsters in those department store visits. Do you actually own them? What made you want to embark on this project? What are your plans for presenting these drawings? 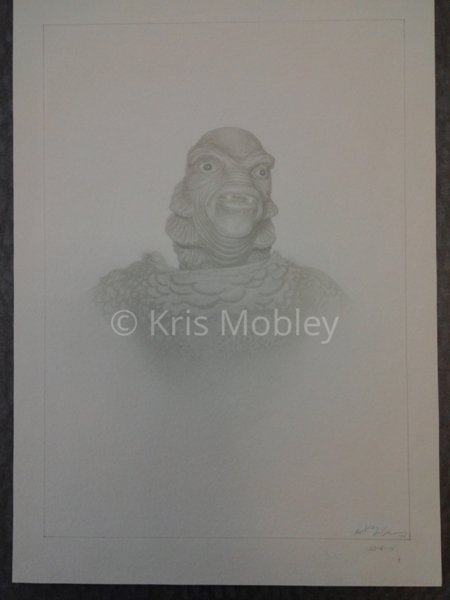 While working on the Creature drawing, it occurred to me that individual portraits of all the REMCO monsters would make an intriguing series. Besides that, I’ve always loved the sci-fi, fantasy, and comic book portfolios that were kind of a trend in the late 1970s through the 1980s. As I work slowly anyway, these thoughts had plenty of time to congeal into the single idea of a fine art portfolio series that would allow me to work in a fine arts style while indulging in subjects and a marketing approach that I loved. The idea to release the prints individually—each of them signed and numbered, sold in an illustrated envelope with a unique cover letter introducing each figure/portrait—came partly of necessity (allowing me the time to work at my necessary slow pace) and partly from the example of John James Audubon, who sold his ongoing The Birds of America in England via a subscription method that both delivered artwork while funding further drawings. 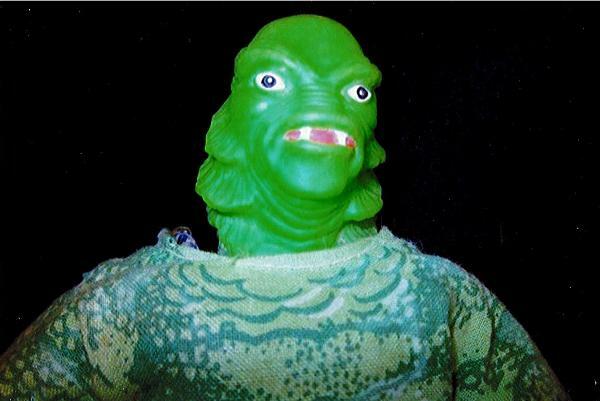 Though the Creature is one of the later and rarer REMCO 9 inch monsters, he makes a great starting character. I plan to produce only 100 Creature prints, and how these sell will help me to determine where to limit editions of the monsters which follow—Dracula, Frankenstein, Wolf Man, and the Mummy (though the order is still undecided). I hope there will be enough interest to warrant a print run of 200 each. In that event, just as with the toys, the Creature will prove one of the rarer items—a fun parallel. Further keeping with that, I would in some way like to make the Phantom, at the end of the series, a special premium and thank-you to those who supported the project from the beginning, perhaps limiting the run to a mailing list of faithful subscribers or giving them exclusive first dibs and (if I can afford it) a rebate. Finally, as I have looked at print options for the series, there appears to be no way to produce the prints cheaply. I want to preserve in the prints all the detail of the originals and giclee prints are best for that. Giclee prints are made by a high-end process that produces prints extremely faithful to the original and that will last (not fade) for 100 years. Since the production cost for each print will thus be rather high, I will probably keep the packaging price as low as possible, which actually suits the project’s homage to the fantasy portfolios of the 1980s that often came in illustrated, somewhat deluxe paper envelopes. With all of that in mind, I hope to keep the retail price between $12 and $15 per print. The Daves will definitely keep you all informed as the project progresses! 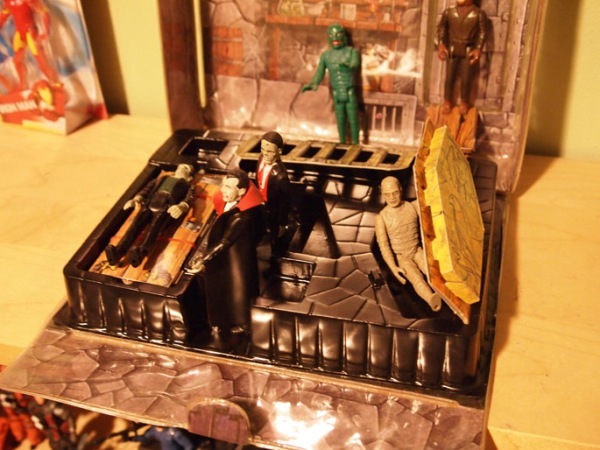 This entry was posted in Creepy Collectibles, Vintage Toys! 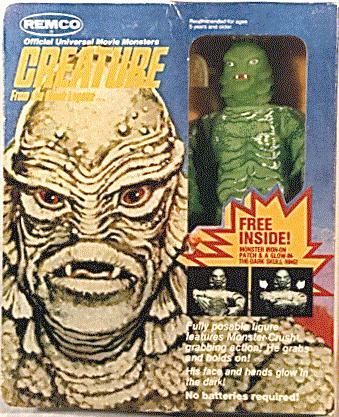 and tagged Creature From The Black Lagoon, DC, Dracula, Frankenstein, Hasbro, KENNER, Lost In Space, Marvel, MEGO, Micronauts, Mini Monster Play Case, Mini Monsters, Monsterizer, Monsters At Home, Mummy, Phantom of the Opera, REMCO, Star Trek, STAR WARS, Universal Monsters, Wolfman, WORLD'S GREATEST SUPER-HEROES. Bookmark the permalink. ← Nightmare on Chicago Street: Chaos & Cosplay!